Pansies could be called the Pollyannas of the gardening world. Winter winds punish them, pets and kids abuse them – and still they bloom. For years, I have loved pansies not only for their beauty, but for their “personalities.” You might ask what on earth that means…well, did you ever notice that pansies have faces? The little patterns of dark color on their petals look very much like faces to me. I think this may be a throwback to an old Disney cartoon perhaps where pansies danced and sang. 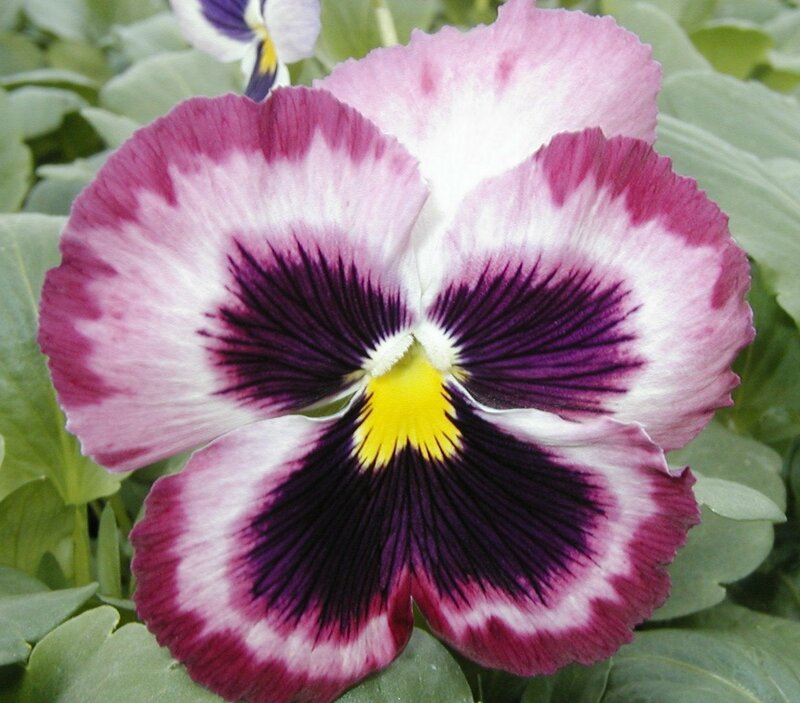 Regardless of what planted the “faces” idea in my head, I look forward every year to seeing the new crop of pansy faces at the nursery. What really strikes me funny is that some of them look angry — little slashes of dark color slanting downward like eyebrows in a severe frown. Some have wide smiles arching upwards with buoyant glee. Still others carry a bewildered expression, like they aren’t quite sure why they are all crowded together on these big tables with huge “beings” passing judgment on them as they poke and prod them in their little containers. Imagine the embarrassment they feel at having their little plastic pots picked up — excitedly thinking they are one of the “chosen” only to be plopped back down in final rejection. I always buy a mixture of faces. Some happy, some sad, some angry…I think it’s only right to have a fair representation of pansy personalities mingling in the mulch in my flower beds. I find it a constant challenge to try and cheer up the angry ones. I speak softly to them, encouraging them to relax, enjoy the beauty of the garden, smile once in a while — make the others wonder what you are thinking!